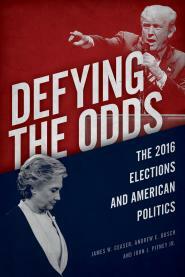 In Defying the Odds, we discuss the mechanics of the 2016 campaign and other problems that brought down the Democrats. I am currently writing a book about the 1988 campaign. Donna Brazile has courted controversy with a new book about that campaign. She was controversial in the 1988 campaign, too. A Democratic presidential campaign official resigned Thursday after the Dukakis campaign disavowed her comment that "George Bush owes it to the American people to fess up" about a rumor concerning an extramarital affair that rippled through Wall Street on Wednesday. Dukakis personally apologized to Bush for the remarks, made by deputy field director Donna Brazile, when the two candidates met Thursday night in New York for the Catholic archdiocese's annual fund-raising dinner. Brazile told reporters accompanying the Democratic candidate that "the American people have every right to know if Barbara Bush will share that bed with him in the White House."